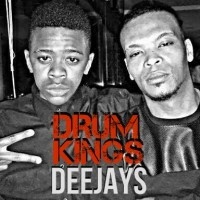 Drum Kings Group established in 2008 by Miguel Lopez & Peter Lucifer , aka DJ Lucifer . The Drum Kings are cousins ? ?of First vein. DJ Lucifer is considered the best dj of sao tome and principe , giving beginning his career in 1997. He is 30 years old . Miguel Lopez & Peter Lucifer. Best DJ's Producers of Drum Beats in Portugal. Receba várias propostas de profissionais como Drum King em poucas horas.